This package provides the driver for the Lenovo ThinkPad X1 Carbon (Type 34xx) laptop Storage Driver in supported laptop models that are running a supported operating system. select where you want to save and click Save. 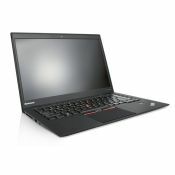 The Lenovo ThinkPad X1 Carbon (Type 34xx) Intel Rapid Storage Technology Driver will download to your saved location. 4.After the Download Complete , click Close. The Lenovo ThinkPad X1 Carbon (Type 34xx) Laptop Storage Driver icon appears on your desktop. 1.Double-click the Lenovo ThinkPad X1 Carbon (Type 34xx) Laptop Storage Driver.EXE.